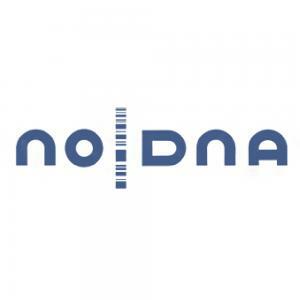 noDNA has established itself as a competent seller of robotics components in the research and development segment. Because of our stability, expertise, and experience, we have become the European market leader. We are now expanding our business model by developing our own "made in Germany" products, focusing on market niches, and expanding our service and customer base. Founded in 2001, noDNA has successfully established itself as Europe's largest and most competent partner for robotics and robot components in the research and development segment. Not only 600 educational institutions, but also the research and development departments of renowned companies like Siemens, Deutsches Zentrum für Luft- und Raumfahrt, and Fraunhofer Institut are convinced of noDNA and have become regular customers. In 2014, Robert Dotzauer acquired noDNA. Prior to this, he founded a German equity crowdfunding platform for real estate together with his wife and thus gained first experience in crowdfunding. However, when Robert – a long-term robotics enthusiast – had the chance to acquire noDNA shortly afterward, he seized this opportunity and became the managing director of noDNA. Back then, noDNA was attractive to Robert not just because the company provided him with the opportunity to engage in the robotics market, but also because it showed great potential for growth. In the future, we at noDNA want to position ourselves as a wholesaler for robotics by purchasing products directly from manufacturers rather than through the intermediaries we currently rely on. In this way, we can address new customer groups and significantly increase competitiveness on the global market, which will enable us to keep growing. Because of our many years of activity within the industry, we have gained valuable market experience. We now want to use this experience to develop our own products, which will meet customers' needs and enable global sales. We have decided to raise funds through venture loans on Companisto because we believe this will have a positive effect on our future business development and because Companisto perfectly fits into our new communication and marketing strategy. The crowd's investment will be supplemented with subsidies by the German government and the EU (e.g., the European SPARC program or the ERP innovation program by KFW), which will provide us with the necessary freedom to act and will help us grow faster than we could using solely our own capital. Robots and robotics components have existed outside of Hollywood movies and our imagination for quite some time. In fact, they have become part of our everyday life in areas as diverse as the automotive sector, research and development departments, educational institutions, the aerospace industry, and the supply of services. Robotics is the future! A robot is essentially an attempt to make a technical device autonomous and intelligent. When asked what robotics means to them, many researchers and inventors would probably answer: being creative, realizing one's own ideas, and fostering logical thinking. In other words, working on a robot means creating and developing something and adding new features. In short, robotics is cool. Robotics is the future. We ARE robotics. Without placing much emphasis on marketing, we have become Europe's largest distributor of robotics and robot components within the educational sector. We are proud to have an international and loyal customer base that has trusted us for several years. In addition to our large product range and fast shipping, our customers really appreciate our service and our competent advice. We have been focusing intensively on the robotics industry since 2008. During this period, we have learned many things and now have some important contacts and an advantage over our competitors in terms of knowledge. We are motivated by our passion and our determination to achieve great things. Today, we are already a specialized seller of robotics with a sound knowledge of various areas, a large customer base, long-standing (sales) partnerships, and constantly growing revenues. Our online store offers both products by renowned international manufacturers (e.g., from Canada, the U.S., China, and Korea) and products by innovative niche manufacturers. Accessories such as control units, cables, batteries, displays, modules, sensors, joysticks, etc. Dear Companists, experience the fascinating world of robotics yourselves and become part of our strategic future development. Together with you, we will be able to take the next steps toward our further internationalization, thus becoming the European market leader in the robotics sector. In short, noDNA is a specialized seller for robots and robotics components with an online store. We generate revenues solely by selling our products, yet we have our own technology and support department and a customer service team with considerable expertise to support customers. Today, we are offering customers a more diverse product range than many of our competitors and are often considered the first point of contact for robotics components. In addition, we are the exclusive distributor for renowned and popular robotics manufacturers, e.g., Robotis, the market leader in the segment of intelligent servos. Consequently, our customers save time and do not have to order products from various sellers, thus reducing shipping costs as well. A supplier of complete robotics products, we know the market very well and are able to recognize new trends very quickly. Because of our in-depth knowledge of products, our many years of experience, and our transparent and honest company policy, we have earned an excellent reputation among universities and educational institutions. We are now in direct contact with decision-makers at large universities and research institutions. Robert has been serving as the managing director of noDNA since mid-2014 and is in charge of the company's strategy, product development, and further growth. He has been an entrepreneur for more than 10 years and played a key role in the development of several companies. In between, he worked as a management consultant in the area of sales and sales management. Markus is in charge of operations and supervises business development and product management. He has a passion for the latest technologies and always provides our customers with the best product recommendations and competent advice. Janos supervises our marketing activities and the operation of our web store. Thanks to many years of experience in operations, an affinity for technology, and just the right amount of creativity, he perfectly fits into our marketing department. Nadja really is a factotum. When she is not busy writing, correcting, or revising texts or supporting Janos in marketing projects, she takes care of product descriptions or even of shipping if necessary. Robotics is a globally booming segment that will most likely keep growing very fast over the next few years according to the German association for robotics and automation (Source: VDMA, Fachverband Robotik + Automation). The German industry association for robotics and automation expects the global market to grow by more than 10 % each year until 2025 or beyond. From 2013 through 2014, revenues in the area of industrial robots grew by 27 % (i.e., 225,000 units). From 2010 through 2014, revenues in the area of robotics in Germany increased from €2.0bn to €3.2bn (which is a 60 % increase). Every year, new institutes and research centers start focusing on the market because budgets for research and development are on the rise. After generating constantly increasing revenues for several years, noDNA experienced a decline in revenues in 2014. The year of 2014 was marked by corporate succession and the company's relocation from Berlin to Munich. Moreover, we implemented strategic decisions concerning investments in product development and infrastructure in order to meet the increasing demands of our company's further development and to ensure availability of the necessary resources. In 2015, we will be able to significantly increase revenues again. Because of ongoing optimization in the area of sales and our improved product policy (which is based on our sales figures from the last few years), we expect that orders by universities will sharply increase in Q3 and Q4 in particular, which will enable us to meet our revenue target of approx. €804,000 for this year. Thus far, we have generated revenues solely by selling components and entire systems in the areas of robotics and artificial intelligence. We have now reached a point where we are optimizing our purchasing processes and conditions and to invest in marketing and sales in order to grow profitably. Indeed, we have generated every single euro of revenue without spending a cent on advertising so far. Our many years of industry experience enable us to precisely estimate which products will sell well. Thus far, we have had to purchase goods from intermediaries because direct orders from manufacturers require very high minimum quantities. With your help, we will finance measures that will help us further increase revenues. Through our new products and the expansion of our business model, we will be able to achieve strong growth and to significantly increase awareness of our company. Additional sales activities, e.g., roadshows at universities and trade shows, will also support this development. Consequently, we will be able to reach the minimum quantities mentioned above, order directly from manufacturers, and cut out intermediaries. This will lead to considerable savings in purchasing and to an increase in our contribution margin by up to 40 %. Moreover, we will be able to shorten order cycles, increase our stock, and act as a wholesaler ourselves. We recently acquired design drawings and licenses for robot kits from an American company. Despite having a very good price-performance ratio, these kits were only moderately successful on the market because their production quality and material quality was insufficient and because the manufacturer was extremely unreliable. However, our experience selling these kits and similar ones from the same category has shown us that demand for such kits is high. The kits are within a price range that makes them ideal birthday presents. As a result, parents often purchase them for their children. In addition to their attractive price, the robot kits have straightforward user manuals, which is why many novices in robotics purchase them. After optimizing these products, we will be able to mass-produce and market roughly ten different robots, ranging from tanks and hexapods to robot arms, in the best quality possible, that is, in the internationally renowned "made in Germany" quality. Our analyses of the current market situation have shown that demand has shifted from small, non-intelligent robot arms to slightly larger, more precise, and intelligent models. We have already completed the first drafts and prototypes, but we still have to develop a model for series production. For this purpose, we have already started collaborating with a renowned German university. Our robot arm will focus on a market niche that no other manufacturer worldwide has occupied so far. The arm has both a high reach and very high durability. The technologies used are perfectly suitable for research and development projects. To address different customer groups, we will offer several versions and performance levels. Moreover, we may distribute this product through resellers in order to attract additional customers. Our most innovative and long-term project, a modular mobile research platform, will become our flagship product in terms of self-developed products. Robot platforms using various drive concepts are used in research and development worldwide. Unfortunately, there are only very few manufacturers in the segment of mid-size platforms (30-70 cm), none of which have an acceptable price-performance ratio or offer a product tailored to the specific needs of universities and research institutions. There are both high-quality platforms that do not fit into the budget of educational institutions and low-quality platforms that will not meet technological requirements over the long term. All of these products have one thing in common: Their variability and adaptability are often very limited. Different materials, drive concepts, and add-ons are either extremely expensive or simply impossible because of constructional deficiencies. We plan to offer a comprehensive solution to all of the above problems by developing a platform that will be built to order from individual components. Add-ons, drive concepts, and/or control units may be combined or exchanged at will. For instance, we want customers to be able to configure different sizes, materials, sensors, and drive concepts. The platform's key aspect, however, will be the various add-on modules that can be very easily integrated into the system by means of a patented standard port. Using this port, customers will be able to mount and use components like sensors and robot arms in no time. In addition, we plan to launch a simple, yet impressive and innovative configuration tool on our website. This tool will be absolutely unique worldwide and constitute significant technological progress. We will realize this project in collaboration with several European universities and colleges in the context of a cross-departmental project.